I agree with you 100%. 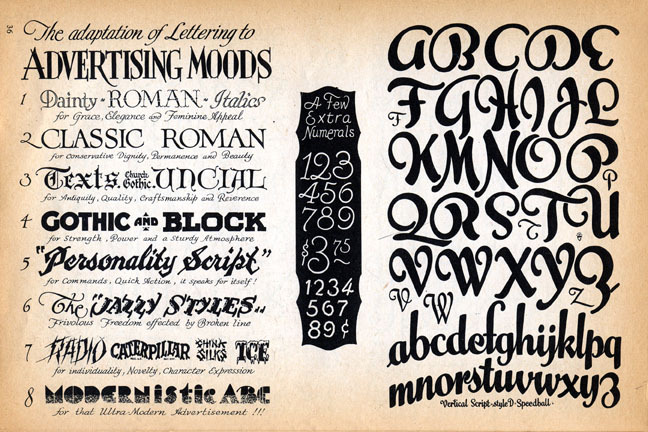 The fountain pen flowed much easier and what you wrote back then would look the same today. I used Japanese fountain pens; the best ones were made by Platinum. They had the permanent reservoir; you just dipped the end of the pen into a jar of ink and siphoned it up. 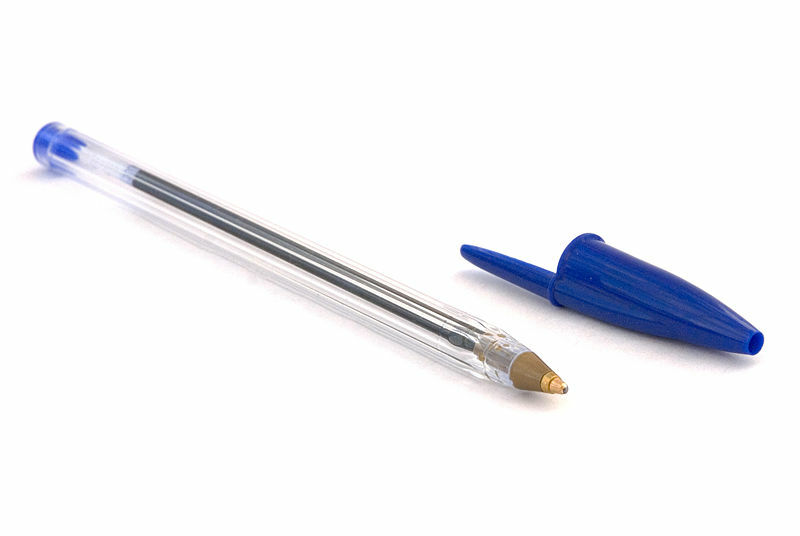 Used it for a couple of decades until the nib gave out. I have only had one Japanese fountain pen and it had a fine-point steel nib. Since I like a medium or broad nib and prefer gold because it flexes more when you write with it, I didn’t use it often. A CPA buddy of mine loved it and I gave it to him! Knowing the quality of Japanese guitars, I can bet that their pens are spectacular! 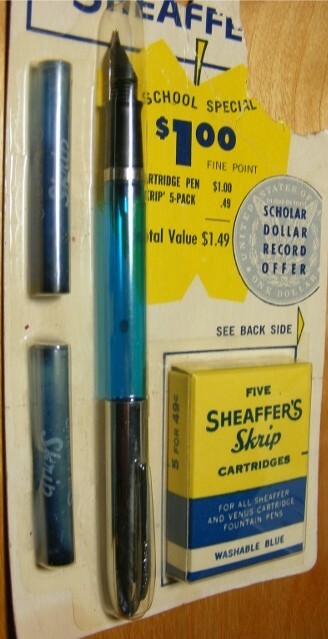 My first Sheaffer school fountain pen was transparent blue body with a fine nib. I bought it my first year of Junior high school 1963. 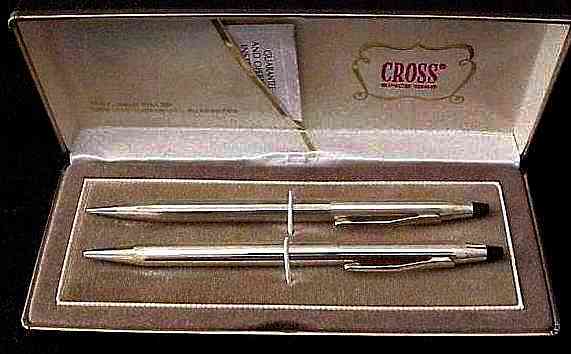 I lost it in 9th grade 1965, I purchased another one only with a transparent green body with fine nib, I still have it. I bought another one in the early 1970’s it has a solid light blue body with a medium nib. 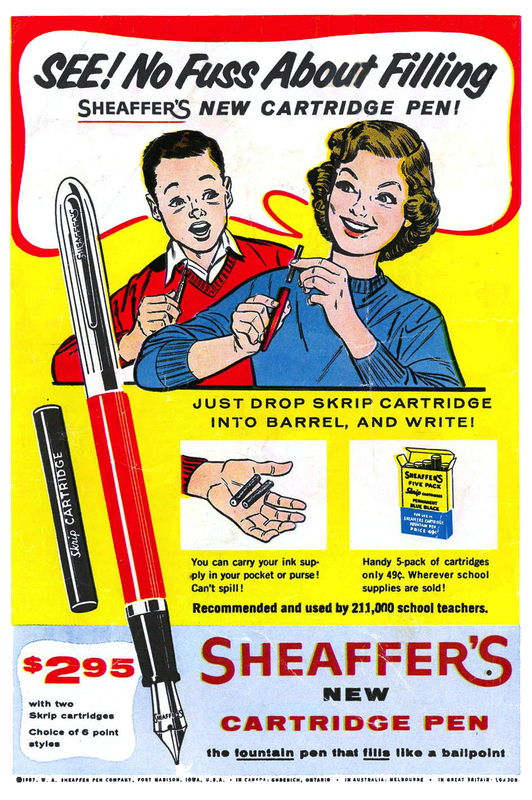 After marrying and children, everyone in the house knew not to touch moms school pens. As a draftsman and graphic artist, my fascination with pens is still there. I have a collection of fountain and dip pens… Feather, glass, calligraphy, drafting, rapidigraph and lots of pen/ brush markers. 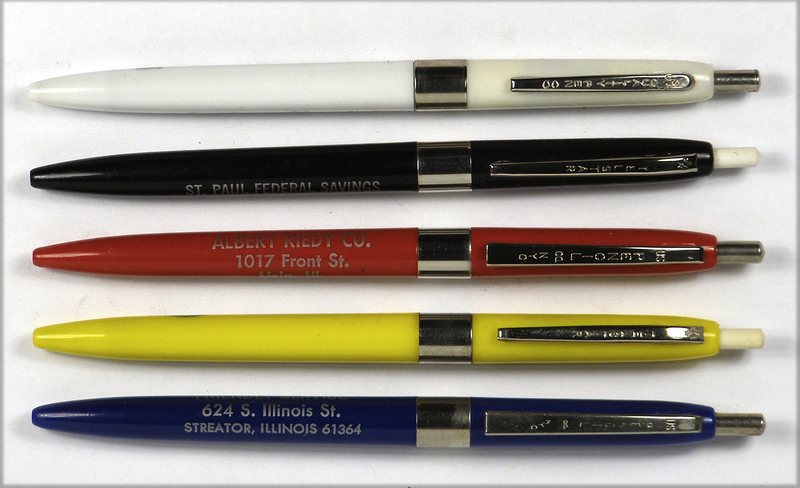 I have pens that are sentimental to me, Parker 21 that was my Father in laws, Pelikin 20 silver and blue with a gold nib from Germany, that belonged to my husband’s grandfather in Germany. 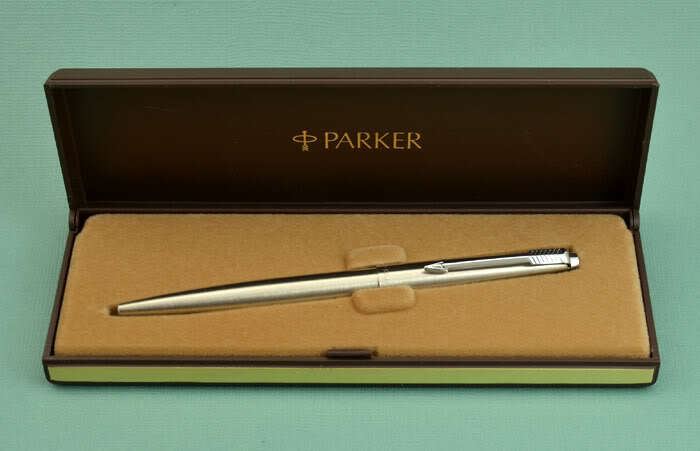 Another Parker 21 that can use superchrome ink, it’s got a burgandy body with sliver cap. 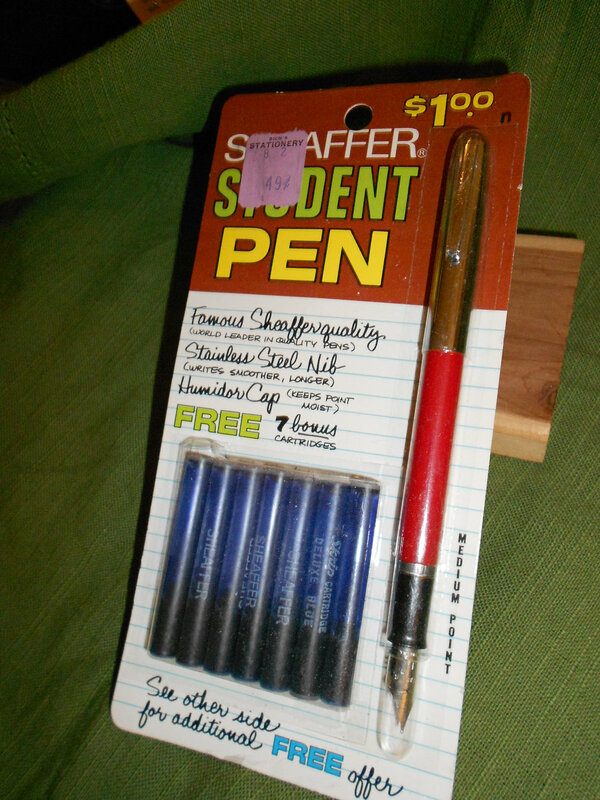 All in all my pen of choice is still the Scheaffer school pen with the green transparent body. That’s quite a collection! I share your love for the old Sheaffer transparent colored pens. Those were what I used all my school days, and I’d have a tough time deciding which color was the prettiest. I had them all, at one time or another, and I spent many a happy hour ignoring my teachers and gazing at those beauties!